China is working on a new stealth fighter-bomber, perhaps to be named the H-20. This concept art has popped on Chinese social media. China made history as the only nation other than the U.S. to ever field a stealth fighter jet, and a new report on China’s military power from the Defense Intelligence Agency just revealed yet another batch of stealth combat aircraft projects. China "is developing new medium- and long-range stealth bombers to strike regional and global targets," the report reads. "Stealth technology continues to play a key role in the development of these new bombers, which probably will reach initial operational capability no sooner than 2025." Today, China holds perhaps the world’s most passive nuclear arsenal, with nuclear warheads that never arm missiles and nominally “nuclear-capable” bombers that have never flown missions with nuclear warheads on board. China’s only current bomber is the H-6K, an updated, licensed knock off of the Soviet Tupolev Tu-16, which entered into service in 1954 and was retired by Moscow in 1993. While the H-6K serves the purpose of signaling capability and resolve — by landing on artificial islands in the South China Sea, for example — it’s nowhere near a modern bomber. Plans and some potential images have leaked for the H-20, a long-range replacement for the H-6K, but until now the second Chinese stealth bomber has remained a rumor and a mystery. Experts say the H-20 will likely look a lot like the U.S. Air Force’s B-2, a big, flat, flying wing type design. But the DIA hinted at something a bit more sporty in its report for the second mystery bomber. "These new bombers will have additional capabilities, with full-spectrum upgrades compared with current operational bomber fleets, and will employ many fifth-generation fighter technologies in their design," the report said. While a long-range flying wing type bomber like the H-20 has little use for fighter maneuvers, a medium-range fighter/bomber aircraft could easily make use of the avionics and tactics China gained in developing its stealth fighter, the J-20. The DIA refers to the second bomber, with a fighter-bomber mission, as a “tactical bomber” with an advanced radar and long-range air-to-air missiles. The Drive points out that a bomber like the one described by the DIA would have increased endurance and wouldn't rely so heavily on refueling tankers, thought to be a weak link with U.S. combat aircraft. China has long been developing a massive, 19-foot-long, very long range air-to-air missile that experts say could pose a direct challenge to top U.S. fighters like the F-35, F-22 and all legacy aircraft. 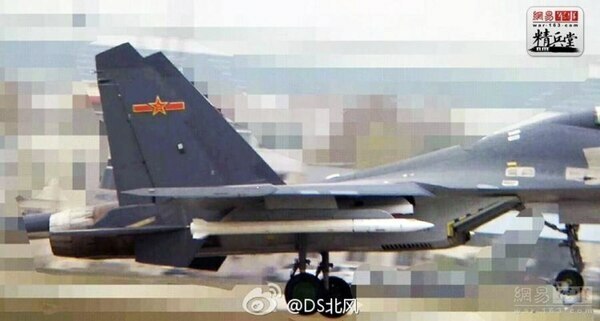 But the J-20 likely can’t carry this long missile. A stealthy platform with a large internal weapons bay, like the fighter/bomber describe by the DIA could, in theory, handle this weapon. With both an air-to-air and an air-to-ground mission, the mysterious new bomber may represent a missing link in China’s emerging vision of air supremacy against the U.S.
Every big-deck U.S. aircraft carrier launches early warning radar aircraft to act as long-range sensors for its fighter fleets, and this new missile appears purpose-built to down them. “The best solution to this problem I can figure out is to send a super-maneuverable fighter jet with very long-range missiles to destroy those high-value targets, which are the ‘eyes' of enemy jets,” air force researcher Fu Qianshao told Chinese media. 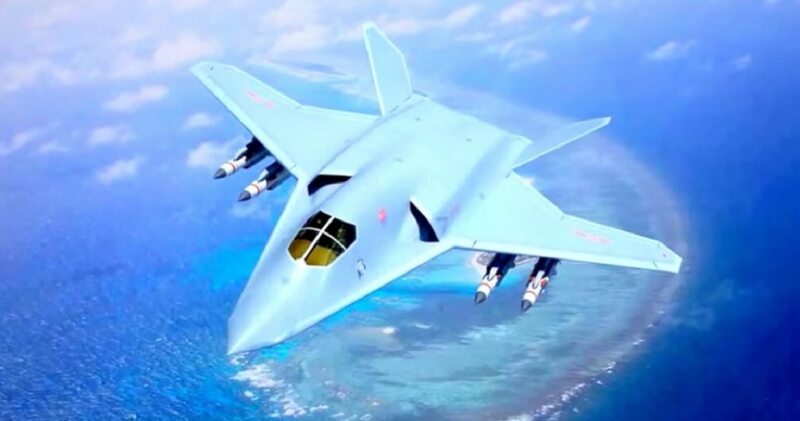 Super-maneuverability is one of the fifth-generation fighter characteristics that China may employ in its new bomber, according to the DIA. "So the successful development of this potential new missile would be a major breakthrough," said Fu. China has long hyped its existing J-20 as an air superiority fighter, but that assessment is routinely shot down by Western analysts who say the plane doesn’t stand a chance in close combat with U.S. F-15s or European Typhoons. For the U.S., which can bring to bear the tremendous power of large fleets of land and ship-launched fighter jets anywhere in the world, its main weakness in air combat remains short ranges on its new jets, which leads to a reliance on unarmed refuelers. But China, by following through on a medium range fighter bomber with long range missiles, may have cracked the code of how to dominate the skies of the Pacific while the U.S. pours money into short range fighters like the F-35 or long-range bombers like the B-21. 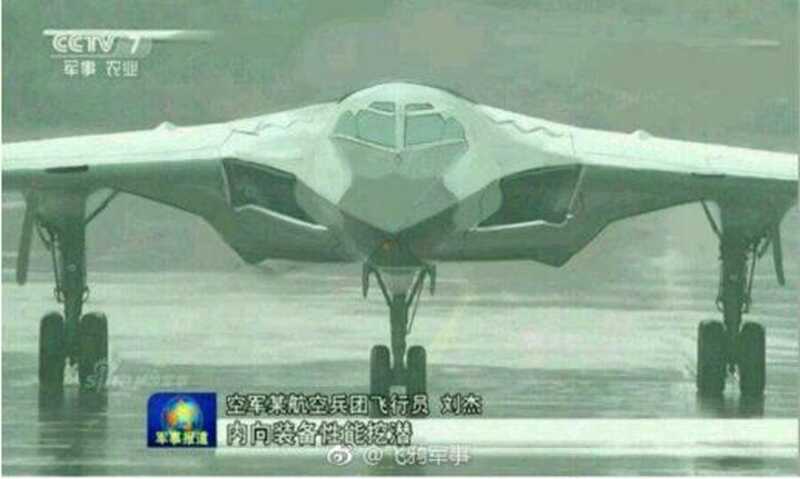 CCTV screengrabA possible prototype image of China’s mysterious H-20 bomber. China’s much-hyped but never-before-seen H-20 nuclear bomber has reportedly made “great progress” in its development recently and may even fly publicly in a 2019 military parade. Little is known about the H-20 bomber, but experts say it’s less about nuclear deterrence patrols and more about fighting actual wars. A stealth flying-wing type bomber for China could allow it to attack US bases in Japan and Guam in a way the US doesn’t really have any defences against yet. But while China bills the mysterious jet as a modern answer to the US’ airborne leg of its nuclear triad, a close read of Beijing’s military and nuclear posture reveals another mission much more likely to actually draw blood. Though the jet remains an absolute unknown with only concept-art depictions in existence, let’s start with what we know. China describes the H-20 as a “new long-distance strategic bomber,” which recent imagery suggests will take a stealthy delta-wing design. “A large flying wing design … is one of the only aerodynamic ways of achieving the broadband all-aspect stealth required for such a design,” Justin Bronk, an aerial combat expert at the Royal United Services Institute, told Business Insider. Only one nation on earth operates a large stealth bomber, and that’s the US. But the B-2 has never launched a nuclear bomb, instead it’s been used as a stealthy bomb truck that can devastate hardened enemy targets with massive payloads on a nearly invisible platform. According to Lawrence Trevethan, a researcher at the China Aerospace Studies Institute, which works with the US Air Force, that’s what China’s H-20 will likely do as well. “I see the H-20 as a nearly exact replacement for the H-6 (China’s current theoretically nuclear-capable bomber),” Trevethan told Business Insider. Trevethan, an expert on China’s nuclear posture, pointed out that the H-6 never trains with nuclear bombs. China’s nuclear-missile capable submarines have never had a verified nuclear deterrence patrol. China’s nuclear weapons are not kept mated atop missiles, unlike Russia and the US. And there’s a simple reason why, according to Trevethan: Nuclear weapons are expensive and mutual nuclear war has never happened. Instead, conventional war happens – and happens all the time. Currently, the US has Aegis and THAAD missile defences in Guam and its Japanese bases, which pose a threat to China’s fleet of missiles. But the US has no established defence against a stealth bomber, which China will likely seek to exploit with the H-20. 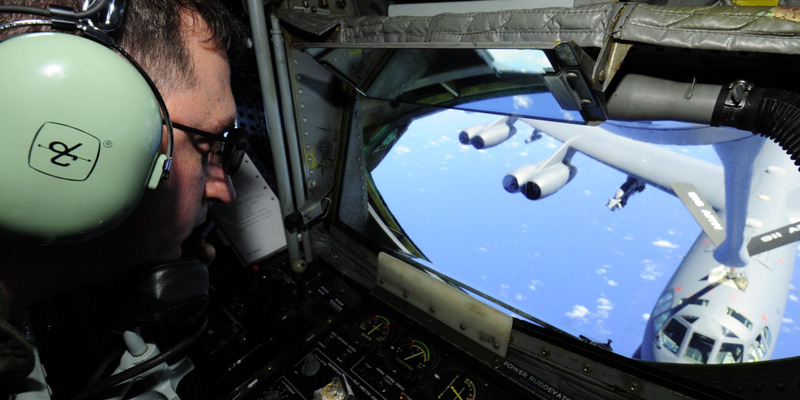 USAFThroughout the 1960s, US B-52 nuclear-capable bombers stayed airborne and ready to launch nearly around the clock. China’s defensive nuclear posture also allows it more leeway in a shooting war. If the US and Russia got into a battle, and either side saw ballistic missiles heading for the other, it would have to assume they were nuclear missiles and retaliate before it faced utter destruction. By fitting the H-20’s concept into China’s nuclear posture, it comes across as more of a credible conventional strike platform meant to beat the US back in the Pacific rather than a flying nuclear threat.